Biography: Prior to becoming a Member of Parliament, Gillian held a number of senior executive positions in the Technology, Banking and Automotive sectors. 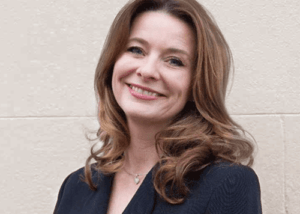 Gillian was Executive Vice President and Chief Marketing Officer for Travelport, a technology company owned by Blackstone, prior to this she spent eight years based in Madrid as Group Vice President for Amadeus IT Group, which transacted the largest IPO in Europe in 2010. In her earlier career she was involved in the development of digital payment services in the 1990’s. Gillian was elected as the Conservative Member of Parliament for Chichester in the 2017 General Election. Prior to this, Gillian was Director of Women2Win, an organisation founded by The Rt. Hon Theresa May MP and Baroness Anne Jenkin to increase the number of Conservative women in public office. In addition to her work with Women2Win, Gillian has co-chaired a review of women in local Government with Dame Margaret Hodge, MP, led by the Fawcett Society. In Parliament, Gillian is on the Public Accounts Committee and All Party Parliamentary Groups such as Women and Work, as well as the Parliamentary Women’s Football team.